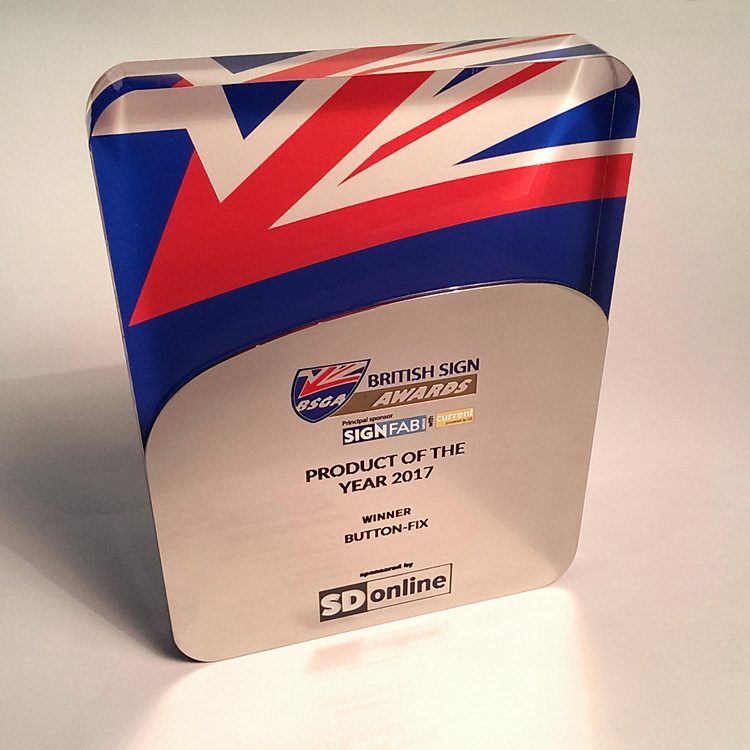 A poll of members of the British Sign and Graphics Association voted for it as the product most likely to have impact on their industry sector, and I was honoured to be presented the award at their annual event last week. It is encouraging to receive endorsement from the signmakers who are using our panel fixing system every day on real projects. Another of our designs, the Manifest exterior banner system, was shortlisted for the same award in 2015.